A world first for the beer industry, the Snap Pack innovation will reduce the amount of plastic used in traditional multi-packs by up to 76 per cent. 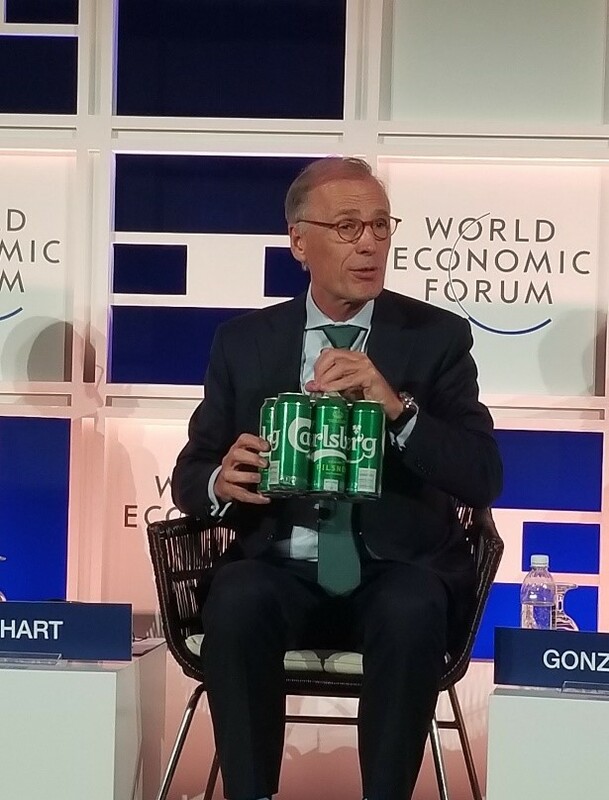 It’s “probably the best” occasion to share a groundbreaking innovation, and Mr. Cees ‘t Hart, CEO of the Carlsberg Group, proudly presented the Snap Pack, replacing the plastic wrapping used around Carlsberg’s six packs with a pioneering technology that glues its cans together, at World Economic Forum on ASEAN (WEF ASEAN) in Hanoi last month. Mr. Cees ‘t Hart, CEO of Carlsberg, presents the groundbreaking Snap Pack at the World Economic Forum on ASEAN. The Snap Pack innovation is set to reduce plastic waste globally by more than 1,200 tons a year, equivalent to 60 million plastic bags. Carlsberg Group’s research and development teams have worked closely with external partners to innovate in ways that will make a difference to both consumers and the climate. Three years in the making, the Snap Pack is just one of Carlsberg’s sustainable packaging solutions announced at WEF ASEAN. Other improvements include: a switch to Cradle to Cradle Certified™ silver ink on its bottle labels to improve recyclability; a new coating on refillable glass bottles to extend their lifespan and therefore reduce their environmental footprint; and new caps that remove oxygen to make the beer taste fresher for longer. The innovations represent the first of a series of consumer-facing manifestations in the Carlsberg Group’s sustainability program, Together Towards ZERO, which includes ambitions of a ZERO carbon footprint and ZERO water waste. They will first be applied on the flagship Carlsberg brand to drive constant reappraisal and refinement. This will further substantiate the iconic tagline of “Probably the Best Beer in the World” in a meaningful way, giving consumers a great tasting beer that also helps them reduce their environmental impact.